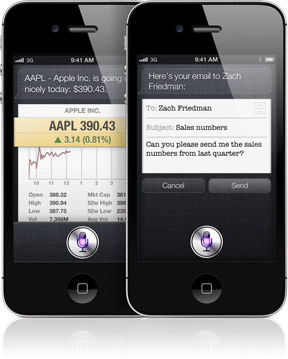 iPhone 4S is full of amazing new features that make it even easier to stay on top of your business. Just speak to Siri, the built-in intelligent assistant, to schedule meetings, set reminders, find a great lunch spot, or send a message to a colleague. 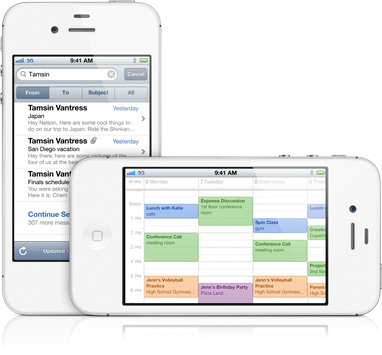 Stay current and in charge of your day with innovative new iOS 5 features like Notification Center and Reminders. Even go-to apps like Mail, Calendar, Contacts, and Safari are better and faster than ever. 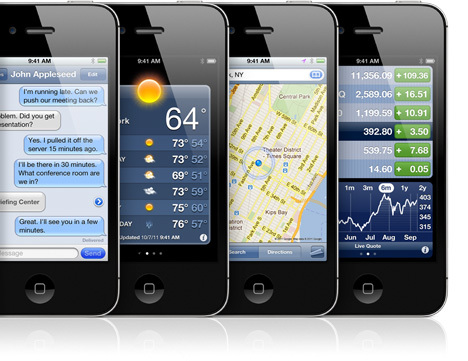 And since iPhone 4S is a world phone, you can do business anywhere. Meet your new personal assistant. 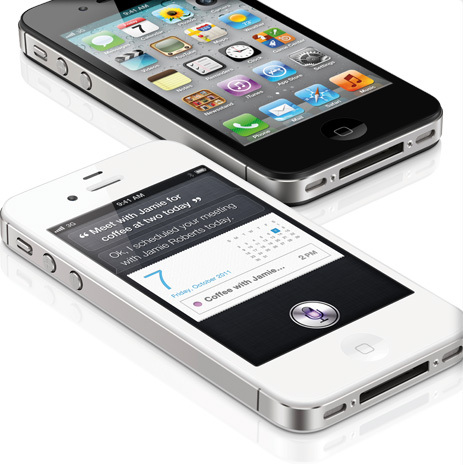 Accomplish more with Siri, the built-in personal assistant on iPhone 4S. Just talk to Siri like you would to a person and Siri responds, helping you with everyday business tasks. Ask Siri to send text messages, get driving directions, place a call, or even schedule a meeting. Whatever you need to do, count on Siri to know exactly what you mean and what to do. Stay continually updated on all your business activities with Notification Center. From emails, texts, and calendar events to breaking news and stock reports, now there’s one convenient place to track all your recent alerts. See all the pertinent activity for your business with a single swipe. Alerts appear discreetly at the top of your screen throughout the day, without interrupting your work. Better Mail, Calendar, and Contacts. Do even more with Mail on iPhone. Search in the body of messages, flag messages for follow-up, and add emphasis with bold, italic, or underlined text. Encrypt sensitive messages using S/MIME. You can even add and delete mailbox folders directly from iPhone, and compose messages in offline mode. Calendar and Contacts are also more versatile. Got a busy week ahead? Rotate your iPhone to see your schedule in a week view. Move meetings around and adjust their duration by simply tapping and dragging. And to keep track of all your colleagues, you can now save contacts from your corporate directory to the local address book on your iPhone. Manage your day with Reminders. 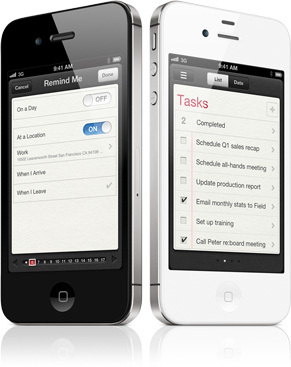 Use Reminders on iPhone to organize your work day and stay in charge of all your to-do items. Reminders makes it easy to track the tasks you need to accomplish, including important details such as due dates and locations. Need to call a customer when you get to work? With location-based alerts, Reminders can prompt you as soon as you pull into the parking lot. And because Reminders is integrated with Exchange, CalDAV, and iCloud, any changes you make are automatically updated on all your devices. Faster, more powerful web browsing. 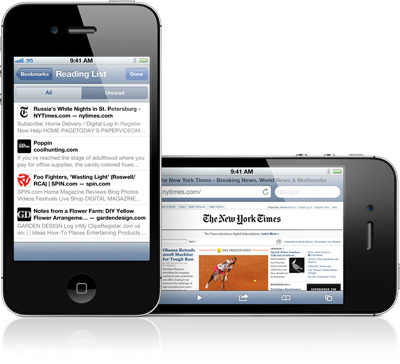 Browse the web faster than ever with Safari on iPhone. The dual-core A5 chip in iPhone 4S enables faster page loading and improved graphics performance. Safari also includes new features such as tabbed browsing, so you can jump quickly from site to site, and Reading List, which lets you save web content to read later. For business users who need the right information at their fingertips at the right moment, Safari is on the job. 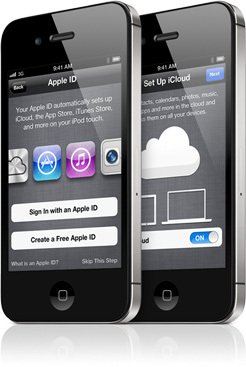 With iOS 5, you can wirelessly activate and set up your iPhone right out of the box, without connecting to a Mac or PC. You can also download free iOS software updates over the air, directly to your iPhone. Whether you’re on a business trip, at a customer’s office, or just away from your desk, iPhone keeps you constantly up-to-date. Make your daily work tasks easier with the extensive features that come with every iPhone. Send unlimited, secure text messages to other iOS 5 users with iMessage. 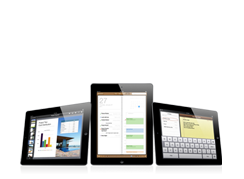 Wirelessly stream presentations, photos, videos, and even mirror your apps on an external display using AirPlay. Make video calls to colleagues using FaceTime. Find directions and pinpoint your destination with Maps. And take high‑quality photos for your business with the built‑in 8‑megapixel camera, even in low‑light conditions. 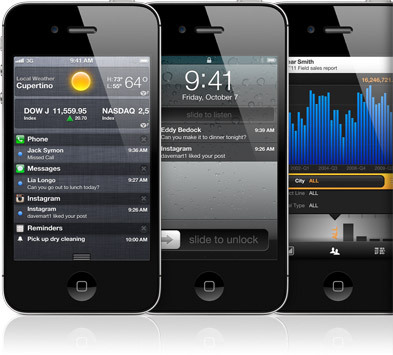 iPhone and iOS 5 give you all the resources you need to make business better anywhere. 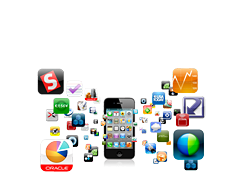 See how businesses are using iPhone.